July 30, 2013  Some ibuprofen and maybe some physical therapy are all it takes to make most back pain go away. But a study finds that doctors and patients are increasingly turning to fancy scans and opioid painkillers. They typically don't help, and increase the risk of addiction and overdose. 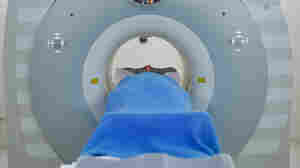 April 19, 2012  Patients can often skip expensive treatments for simpler, cheaper alternatives. That's the gist of a new campaign from the American College of Physicians. But they've got to convince not just patients, but doctors, too.